Screen Systems - PRO Millwork, Inc.
Why choose retractable Phantom Screens over conventional screens? Conventional insect screens compromise the integrity of a building's design, block views, diminish natural daylight, and make routine window cleaning difficult. 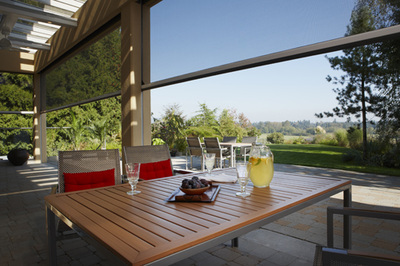 Phantom Screens offers retractable screen solutions for doors, windows, and large openings such as patios and porches that overcome these limitations, are in place when required, and retract out of sight when not in use. Screen solutions from Phantom maintain the design of the building, provide privacy, insect protection, and better ventilation, plus manage solar light. These retractable screens can also reduce solar heat gain on the inside of the building and decrease energy costs for cooling the building. Phantom Screens provides after sales support - our experienced screen installers and Authorized Distributors are available for service calls and product questions long after the sale has been completed. What types of applications can Phantom Screens cover? Professional Series door screen covers all door types including patio sliders, in-swing and out-swing doors, double-French openings, as well as front doorways. Legacy door screen is suitable for all door types; it is the only retractable door screen with an integrated Latch & Release handle making it easy to use, quiet to operate and secure from unintended openings. 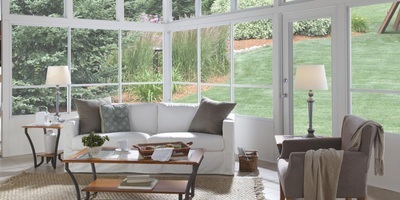 Serene window screen is most typically used for insect or solar protection and added privacy on all types of windows including double-hung, casement, and tilt 'n turn applications. 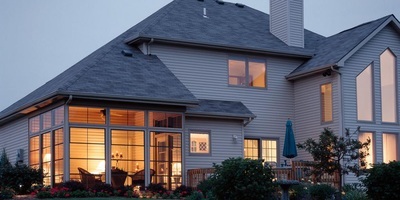 Prestige window screen is designed for custom wood windows; it provides great visibility to outside while protecting from insects when the screen is pulled in place. 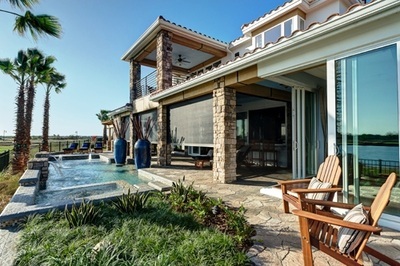 Executive motorized screen is designed for large openings including covered verandas, porches, folding glass walls and floor-to-ceiling picture windows. 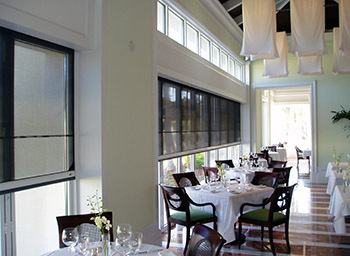 Distinction pleated mesh screen is designed for screening double-French doors and oversized doorways in high traffic areas. Mesh - the material comes in a wide variety of colors, fabrics, and materials depending on whether insect or solar protection is required. Housing - the mesh is stored within an extruded aluminum housing when retracted, along with the tube and spring or motor mechanism. Phantom uses a combination of low profile components; various finish options including custom coatings, and color-matched fasteners to blend the screens seamlessly into the building structure and décor scheme. Slide bar - the "handle" that brings out the screen when needed or helps it smoothly retract back into the housing when the screen is not in use. Depending on the application the screen may be held in place with a magnet or latch system when in use. Tracks - fastened to the top and bottom of the door frame (or the sides of the frame in the case of a window or motorized system), the tracks keep the screen in place when in use. 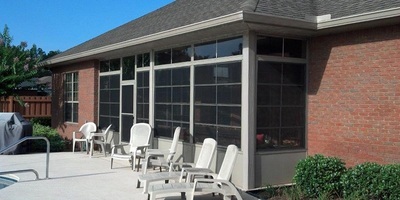 Phantom's retractable screens can be installed both on the interior or exterior of buildings. In order to protect the screen components from weather and moisture, we use corrosion-resistant fasteners. The finishes are chip-resistant and covered by our Limited Lifetime Warranty. Phantom Screens offers the largest Authorized Distributor network in North America for ordering and purchasing retractable screen solutions. These companies handle all sales, service, and installation calls. You can contact a local Phantom Screens Authorized Distributor by dialing 1-888-PHANTOM (742-6866). PGT® Eze-Breeze® is designed to make outdoor spaces more utilized places. With several styles to choose from, our custom made-to-order components allow you to have fun designing an outdoor space that's just right for you. 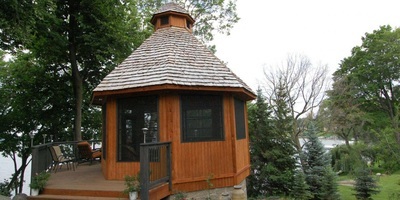 Custom made for you favorite outdoor spaces. 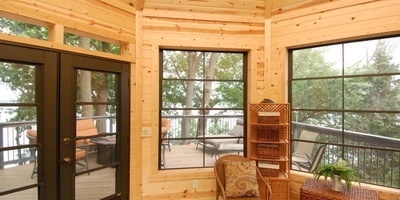 PGT Eze-Breeze enclosures let cool breezes in and keep bad weather out, making outdoor spaces more inviting. This versatile enclosure system features vents that slide either vertically or horizontally to fit your needs. 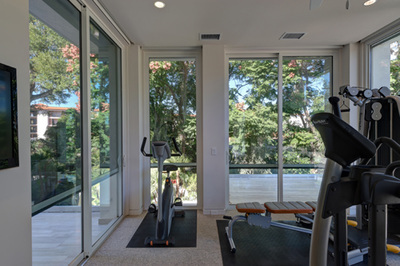 Fixed vents are also available to accommodate spaces above your vertical- or horizontal-sliding vents, allowing for incredible floor-to-ceiling views.